The social cognition learning model asserts that culture is the prime determinant of individual development. Humans are the only species to have created culture, and every human child develops in the context of a culture. Therefore, a child’s learning development is affected in ways large and small by the culture–including the culture of family environment–in which he or she is enmeshed. 1. Culture makes two sorts of contributions to a child’s intellectual development. First, through culture children acquire much of the content of their thinking, that is, their knowledge. Second, the surrounding culture provides a child with the processes or means of their thinking, what Vygotskians call the tools of intellectual adaptation. In short, according to the social cognition learning model, culture teaches children both what to think and how to think. 2. Cognitive development results from a dialectical process whereby a child learns through problem-solving experiences shared with someone else, usually a parent or teacher but sometimes a sibling or peer. 3. Initially, the person interacting with child assumes most of the responsibility for guiding the problem solving, but gradually this responsibility transfers to the child. 4. Language is a primary form of interaction through which adults transmit to the child the rich body of knowledge that exists in the culture. 5. As learning progresses, the child’s own language comes to serve as her primary tool of intellectual adaptation. Eventually, children can use internal language to direct their own behavior. 6. Internalization refers to the process of learning–and thereby internalizing–a rich body of knowledge and tools of thought that first exist outside the child. This happens primarily through language. 7. A difference exists between what child can do on her own and what the child can do with help. Vygotskians call this difference the zone of proximal development. 8. Since much of what a child learns comes form the culture around her and much of the child’s problem solving is mediated through an adult’s help, it is wrong to focus on a child in isolation. Such focus does not reveal the processes by which children acquire new skills. 9. Interactions with surrounding culture and social agents, such as parents and more competent peers, contribute significantly to a child’s intellectual development. Curriculum–Since children learn much through interaction, curricula should be designed to emphasize interaction between learners and learning tasks. Instruction–With appropriate adult help, children can often perform tasks that they are incapable of completing on their own. With this in mind, scaffolding–where the adult continually adjusts the level of his or her help in response to the child’s level of performance–is an effective form of teaching. Scaffolding not only produces immediate results, but also instills the skills necessary for independent problem solving in the future. Assessment–Assessment methods must take into account the zone of proximal development. What children can do on their own is their level of actual development and what they can do with help is their level of potential development. Two children might have the same level of actual development, but given the appropriate help from an adult, one might be able to solve many more problems than the other. Assessment methods must target both the level of actual development and the level of potential development. A paper by James Wertsch and Michael Cole titled “The role of culture in Vygotskyean-informed psychology”. This paper gives an accessible overview of the main thrust of Lev Vygotsky’s general developmental framework and offers a contrast to the Piagetian approach. This is an introduction to some of the basic concepts of Lev Vygotskyean theory (culturally-mediated identity) by Trish Nicholl. This is a site for Cultural-Historical Psychology and provides a periodically-updated listing of Vygotskyean and related resources available on the Web. This is a 1997 paper by P.E. Doolittle titled “Vygotsky’s zone of proximal development as a theoretical foundation for cooperation learning” and is published in Journal on Excellence in College Teaching, 8 (1), 83-103. Thanks for this quick & simple but comprehensive overview. would you give me a complete copy of vygotsky’s social development theory which includes instuctional strategies?.. thanks! Thanks a ton for the compilation. 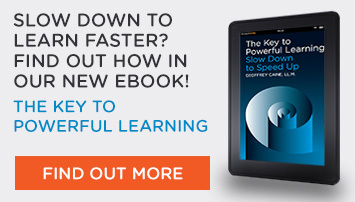 I am working on How learning happens and Transfer of learning – this compilation has been very useful. Personally I believe Wygotskys theory is the highest system and should create smarter people faster. A further extension of this theory would examine the absence of culture in our society or individualism and rote learning which is the grease on the slide to self and world destruction (I believe) Compassion-based learning such as Buddhism is what we now need to inject into Wygotskys cultural model. it´s been so interesting to read about this, It has also helped me with my university work. Thanks for making this so easy to understand. It enables me to do my homework for the next class – Comparing Vygotsky and Piaget. I’m really grateful. Have always loved Vygotsky -great to see his work being affirmed. 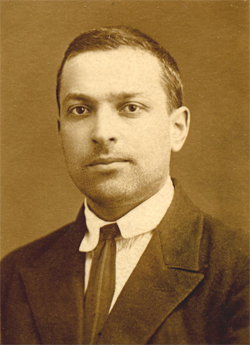 I am doing a report on Vygotsky and I want to say Thank you for real great information here on this site…. Very well presented. Useful and to the point, enjoying his theory and applying it to daily life. it’s fun to read this work.. it’s help me to my research.. thank you for posting this. Love social cognition! It seeks to show that students studying and desire for success is self-controlled and by recieving high scores, these students are reinforced and in escence the high scores are simply fuel for the strive for excellence. The students study harder and harder bc they EXPECT to be reinforced with that good grade. This was very helpful for me. I have been researching this topic for several days and its nice to see a concise explanation. Thank you. Social cognition is important in the learning process.This explanation encouraged me to read more of Vygosky. vygotsy is a brilliant man. i admire his theory since i am an education student. we’re dealing more on children and teen agers. its great to see Vygotsky’s theory written in simple language. I real like the theory.ITS more applicable in our life even in our family.GOOD JOB,I Real appreciate. I love studying the way a child thinks and grows. It’s been one of the most important things I’ve done for becoming a YA author. It brings an emotional reality to fiction and lends an authentic voice to young characters. Our new book “My name is Johny” just went online at dedicatedteacher.com. If you want a copy to review and possibly list – email me. Congratulations on the publication of your book, “My Name is Johny.” I looked at a sample of the book on Dedicatedteachers.com and it looks very thought provoking. I would be interested in looking at a copy and possibly referencing the book in a post about a topic such as how to maintain a child’s identity in public education. Is it possible for you to email the book? Thanks! very informative. thanks for this resource. i can use this for my school research. Normally I do not read article on blogs, but I wish to say that this write-up very pressured me to check out and do so! Your writing taste has been amazed me. Thanks, very great post. This article captures the essence of Vygotsky’s ideas, which I deeply appreciate. I teach human development at the masters level and am always looking for articles that underscore what they learn in the classroom and textbook. This article will definitely go at the top of my list. Thank you so much! Glad that Funderstanding has provided something useful to you in your professional role. Thanks Ava! This article captures the essence of Vygotsky’s ideas and how he perceived the way individuals learn and grow. I teach human development at the masters level and am always looking for articles to underscore what they are learning in the classroom and textbook. Thank you so much for an article that actually makes sense, has excellent readability, clear and demystifies some of the constructs of Social Cognitive Learning. Thank you so much! Thanks for the kind words and we are thrilled that our site has provided you with something helpful to your professional role!